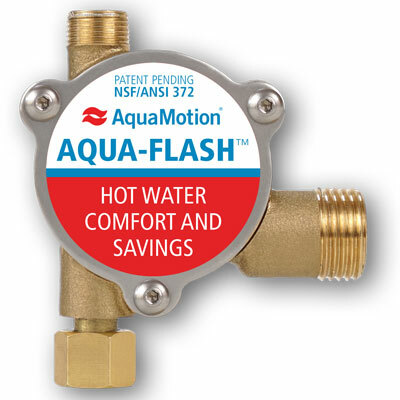 Our product line includes single speed, three speed PSC (Permanent Split Capacitor) and variable speed ECM (Electronically Commutated) pumps in cast iron and stainless steel and instant hot water recirculation systems. Our product line is assembled and tested 100% in our Warwick, RI, USA plant and is covered by three US and one Canadian Patent and European Patents pending. Additional Patents are pending. 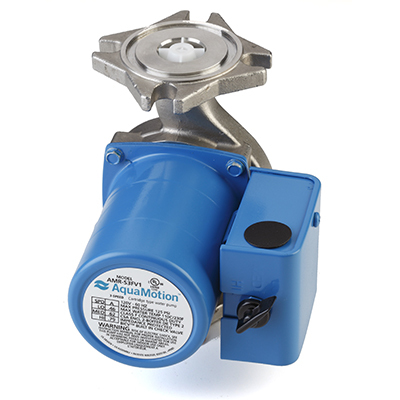 All pumps are UL, ULC, or ETL and NSF listed and covered by a 3-year limited warranty. 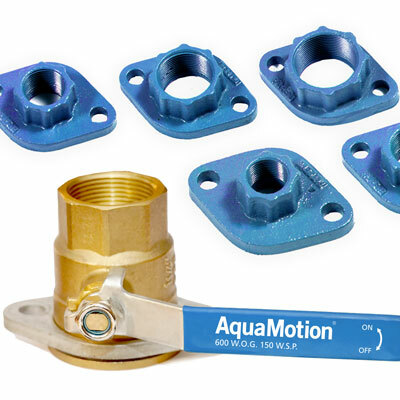 AquaMotion products are sold through Heating and Plumbing Wholesalers Worldwide. 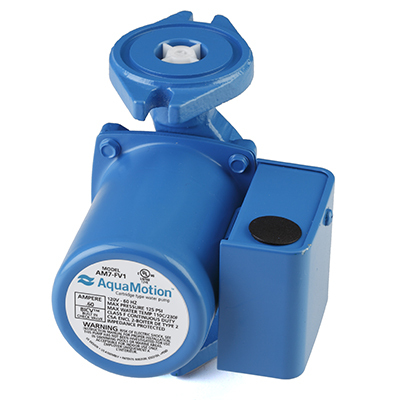 AquaMotion's innovative design created a pump line with the lowest power consumption. 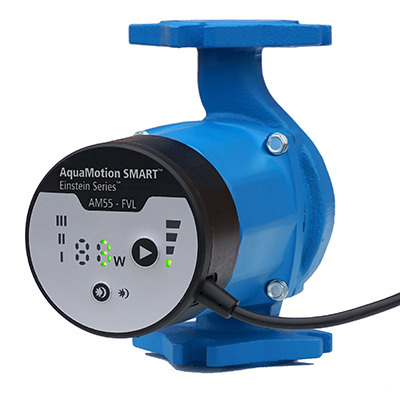 This is based on actual amp draw comparisons with published Underwriters Laboratories data of comparable PSC motor or ECM pumps on the market. The PSC design features the only field replaceable and field flushable Green ECO-CARTRIDGE™. This cartridge is the heart of every circulator and contains all moving parts. The design allows for replacement of the cartridge or by pulling it apart and flushing it and reinstalling it. This is a tremendous advantage in areas of hard water. The design prevents black iron oxide and contaminants from entering into the cartridge. The flushable cartridge extends the life of the pumps and makes them a sustainable product that can double its operating life. Hans Kuster established the predecessor company Sparco Inc. in 1983 in Warwick, RI. He and his engineering and manufacturing team grew it for 17 years to be a leading manufacturer of hydronic heating and energy products. 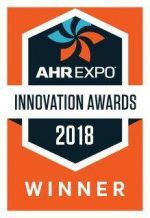 Sparco was awarded 18 U.S and foreign patents. The company brand-named products including radiant manifolds, zone valves and the AquaMix water mixing valves for the market leaders. Kuster sold SPARCO Inc. to Honeywell International.